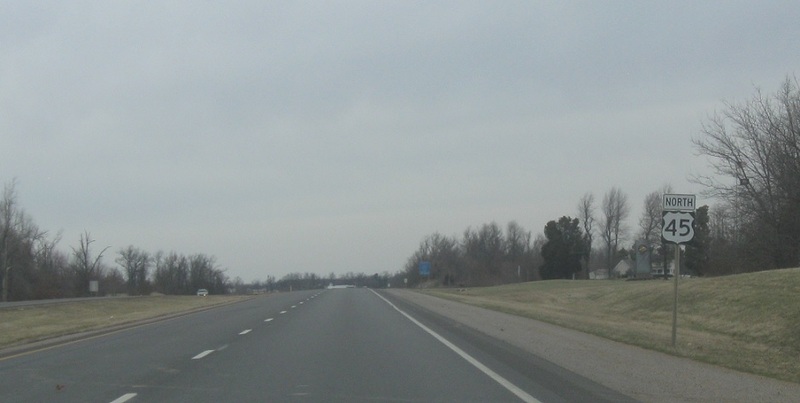 Reassurance shield after the 408 junction. 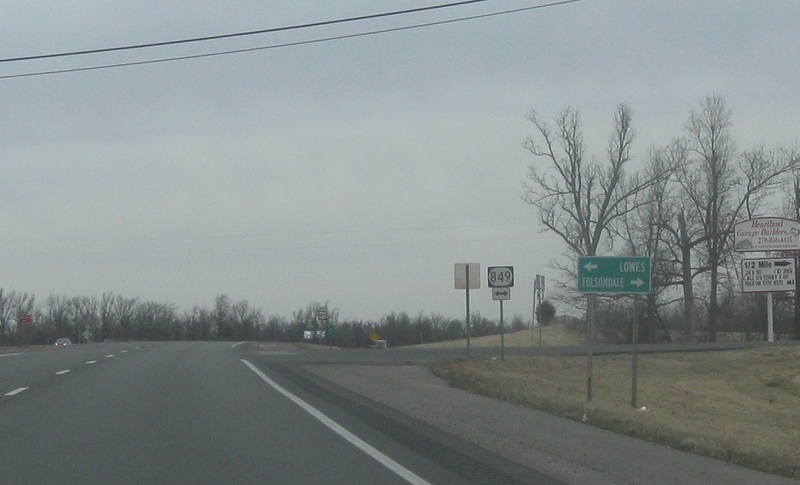 A couple miles later, we’ll approach KY 849. At the junction, turn right for 849 east and left for 849 west. Follow 849 east to Folsomdale and 849 west to Lowes. 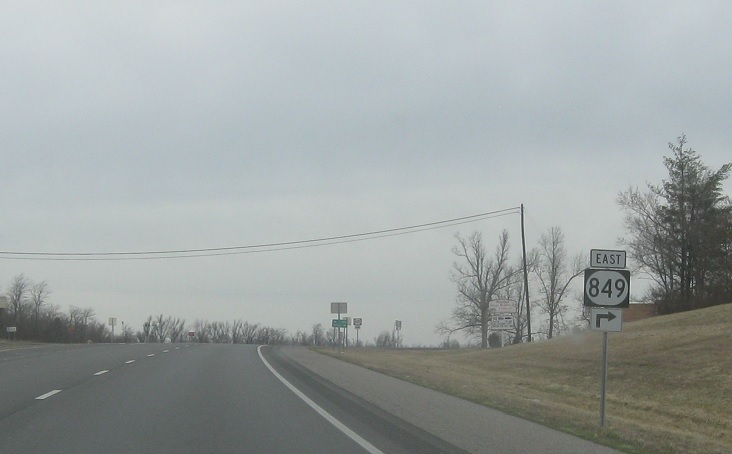 Turn right for 849 east and left for 849 west.